I know I tend to abuse this section with Raspberry Pi stuff... but hey, whatever. 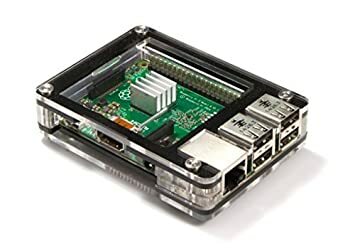 I'm about to buy a Raspberry Pi 3 for myself, and give my old Pi 2 to my best friend for Christmas. I want to pick up some cool cases for them. I've Googled extensively, and found about a dozen decent options. I'm asking here to see if there are any cases that I may have overlooked in my search. Right now, I'm leaning most toward C4 Labs... mainly their Zebra cases. I'm open to different styles, though. I keep looking for something you could call "steampunk", but I haven't found anything truly interesting. My friend would definitely like something like that. These are the ones I'm liking best so far. Anything pre-existing you can stuff it in is my vote. Only tools required were a Dremel (to make the port openings), and a screwdriver. The original circuitry still works independent of the Pi0 currently, so R2D2 will beep at you, and candy will dispense when you press the button on the front. Cost of the dispenser? $2 from Target. Last edited by cloudasc; 10-22-2016 at 03:35 PM. I should look for one of those for my friend. He's a Star Wars fanatic. 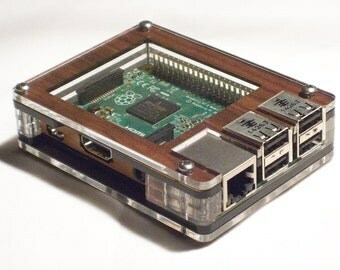 Think it would fit a Pi2? Reviewing the Dimensions for the Zero to the Pi 2, it unfortunately wouldn't fit in that Candy Dispenser. The Pi Zero is 65mm at its widest, while the Pi 2 is 85mm at its widest. Damn. That would've been awesome! I might have to hunt down some sort of Star Wars thing that would work, though. It's a great idea!